The ancient architecture of Ukraine fosters a lovely atmosphere when visiting the country. After discovering the fascinating legends and love stories of the most romantic places, no one will remain indifferent. Therefore, take note, the destinations below are perfect to make a declaration of love or just have a wonderful time together. 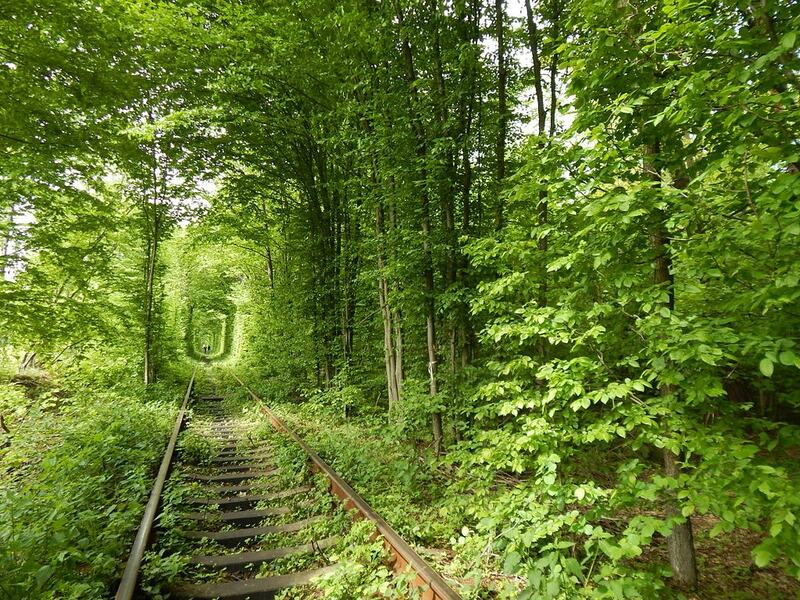 The romantic tunnel is located on the old railway tracks not far from the town of Klevan. It is a magical place, where, as a result of natural phenomena, brunches and bushes have interwoven into the form of an arch with a surprisingly even geometrical shape. Those Ukrainian couples who still have not managed to visit the place, aim to get there. Due to the legend, a kiss in the Tunnel of Love is a recipe for never-ending love. For sure, the best season to come to the destination is spring or summer, when the greenery is fresh and inspiring, but in winter it is charming as well. 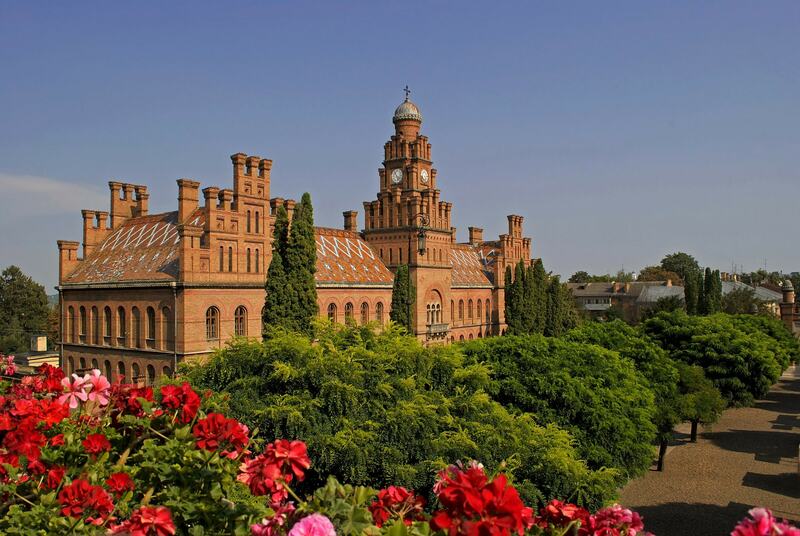 The Botanical Garden in the city of Chernivtsi is definitely a romantic spot to visit. Beautiful flowers and trees, landscape compositions and exhibitions of plants in the local greenhouse are perfect for a lovely walk. Additionally, when strolling through the park, one can marvel at the ancient buildings of Chernivtisi University, the former Residence of Bukovinian and Dalmatian Metropolitans. Its picturesque setting has led many people to hold wedding and romantic photo shoots here. 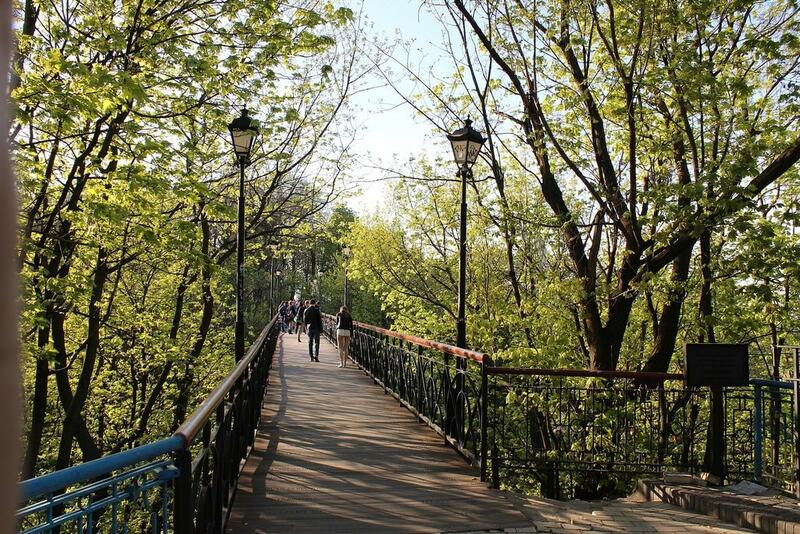 Park Bridge is also called the Bridge of Love by locals, as this place has seen a huge amount of passionate meetings, first dates, and, of course, weddings. Since it was built in 1910, it has become a favorite place for couples to put locks on the fence and pledge their endless love to each other. Yet, it is not a secret to anyone that the locks are regularly cleaned out for a couple of reasons: to free space for new ones and to prevent the demolishment of the Park Bridge. 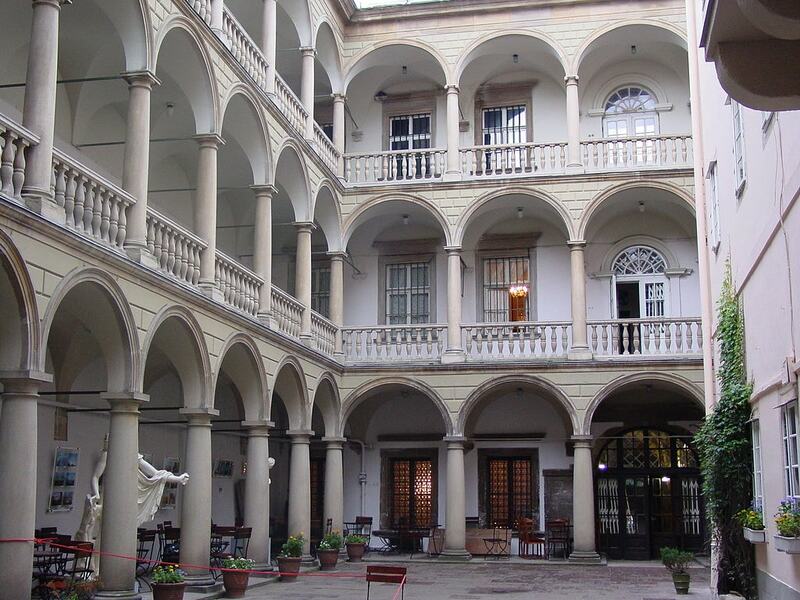 Being located on the Market Square (the main square of Lviv), the Italian Courtyard is one of the most visited sites in the city. Tall white walls, narrow balconies and romantic history make the venue extremely attractive for tourists. An architectural monument of the Renaissance, it exactly resembles the typical courtyards of Rome or Florence. Thus, nowadays it is a location for numerous jazz concerts, literary evenings and romantic dates. The Multimedia Fountain Roshen in Vinnytsya is a second-to-none show in Ukraine and Eastern Europe. 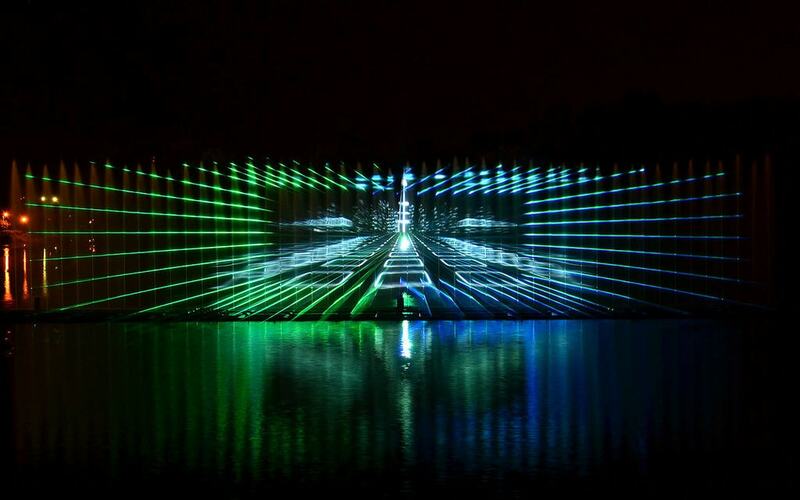 Flowing powerful water streams accompanied by light and laser effects, as well as musical accompaniment and video projections on a huge screen – it is an incredibly beautiful sight. If you want to surprise your better half and share unforgettable emotions, just come to the show together and seize the moment. 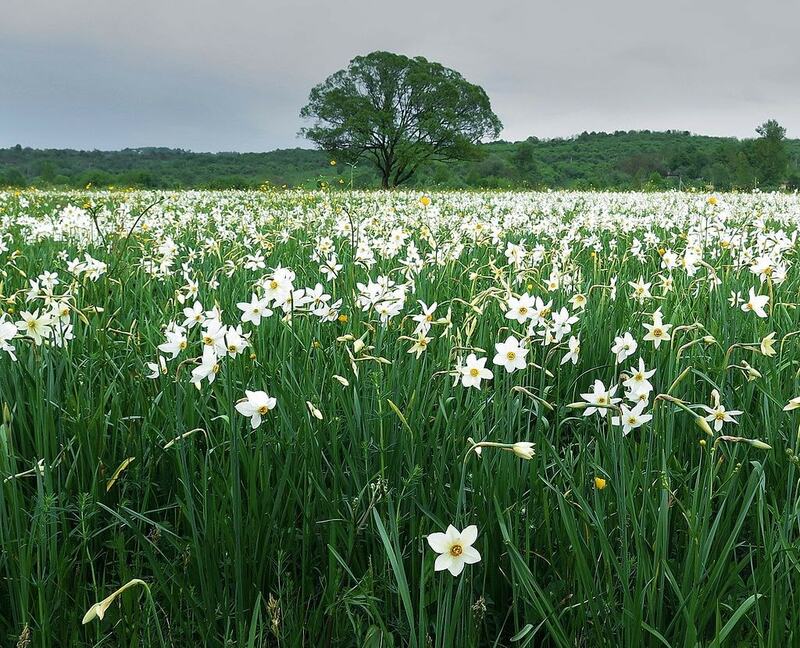 A natural wonder that you can see just once a year in May, when the whole field of daffodils starts to bloom. The valley is situated on the territory of the Carpathian Biosphere Reserve, 2.5 miles (4 km) away from the city of Khust. The legend says that the field of daffodils appeared as an accident, after an angry count, father of a young lady, threw away a bunch of flowers gifted to her by a poor man. The next morning, a miracle happened – the whole valley was covered in a white bloom. Vylkove is also called the Ukrainian Venice by locals. This unique city in the Odessa region, not far from the border with Romania, lies on the Danube River. 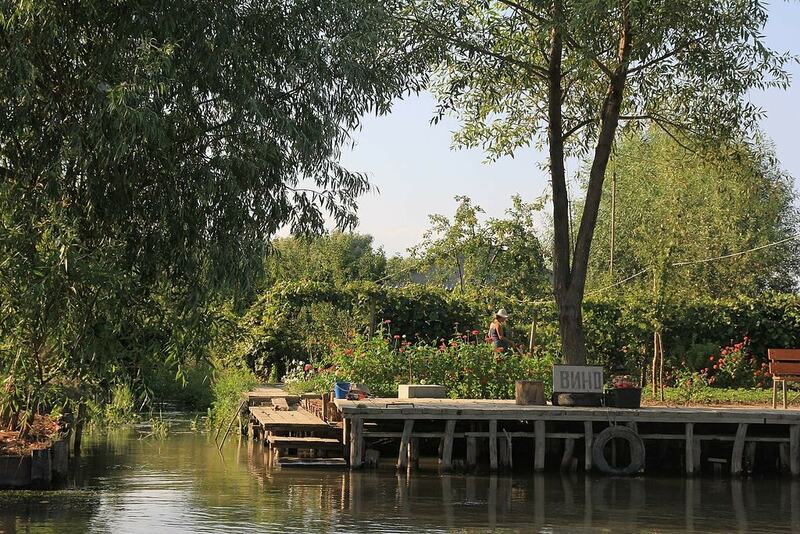 It is a part of the Danube Biosphere Reserve, where people can get around only by boat. Due to the net of the river channels, it is impossible to traverse entirely on foot. The residents of the city annually welcome hundreds of tourists that come to see the phenomena with their own eyes.